Science has happy news for us all. A new research conducted by the team at the Telethon Kids Institute has found how exposure to sunshine may aid in slowing down the development of obesity and diabetes. “Our findings are important as they suggest that casual skin exposure to sunlight, together with plenty of exercise and a healthy diet, may help prevent the development of obesity in children,” said Dr Shelley Gorman, Research Fellow, Telethon Kids Institute. The team of experts carried out experiments on overfed mice by exposing them to UV light. It was seen that the weight gain process in these mice had slowed down and there were fewer signs associated with diabetes including abnormal glucose levels or insulin resistance. The study was published in the journal Diabetes and explained how nitric oxide is the key element that plays a vital role in this scientific process. 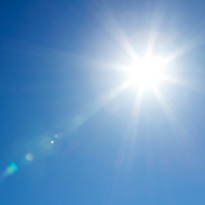 According to the team, when skin is exposed to sunlight, it releases nitric oxide. When topical application of nitric oxide was given to overfed mice, the results were found to be the same as when exposed to UV light. Some of the studies in the recent past establish a link between nitric oxide and lower blood pressure – once exposed to UV lamps. Interestingly Vitamin D has practically no role play in this discovery. The researchers explains this study as a door opening to further studies that could de-mystify the role of sun rays’ in human health. However, at present, further research is needed to confirm whether the above mentioned experiment on mice will replicate similar results when tested on humans.